What are those odd grassy balls? 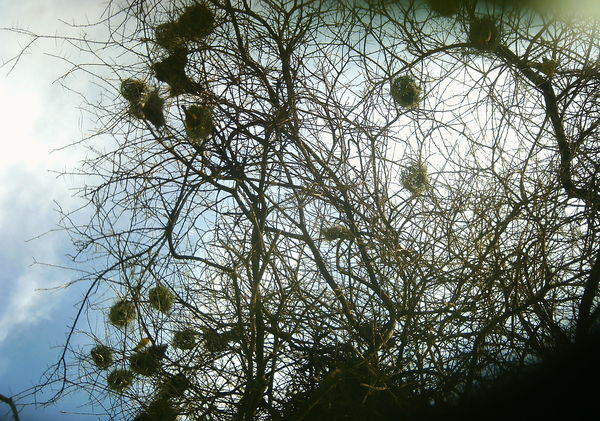 Why, they’re the nests of weaver birds. My Birds of East Africa book lists a dozen species of weavers in the Serengeti, and most of them have a yellow and black pattern. Here’s what some of these guys look like close up. 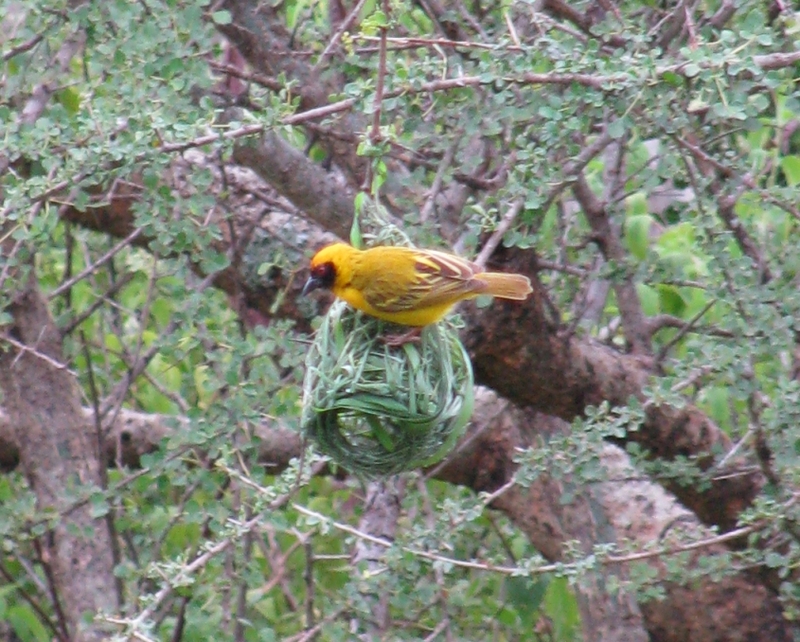 Several years ago, I watched through a Lion House window as a weaver bird build its nest from scratch. The bird started with just a branch, one with something of a knot at the end where a twig may have split off in the past. The weaver grabbed a long blade of grass and wrapped it around that knobby joint and tucked the blade under itself, as you might do if you were tying your shoe. Then it got another blade of grass and wove that through the loop it had created with the first blade, tucking it securely back under and through the loop a second time. It continued to add blades for the next twenty minutes or so, such that the grass formed two clumps, one sticking out of either side of the knot. Straddling the two clumps, with one talon hanging on to each, the weaver then took a long blade from one clump and wove its end back up into the other clump. The result was a loop. 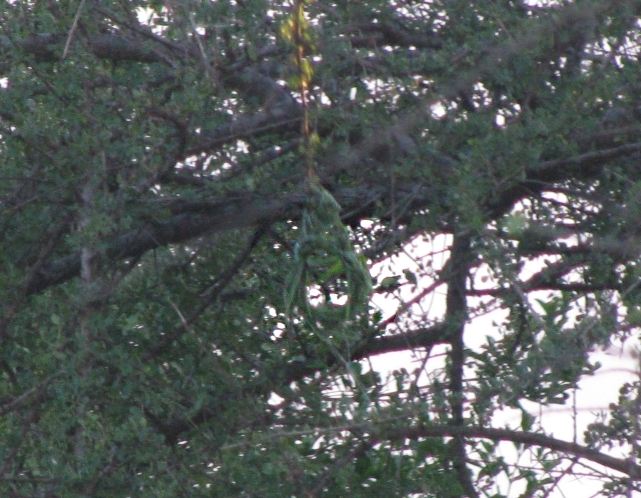 The bird pulled additional grass from one clump to the other and strengthened the loop. Bit by bit. I watched for over a half-hour, but I had work to do, too. So I left the little weaver to its task, and checked in again that evening before the sun set. 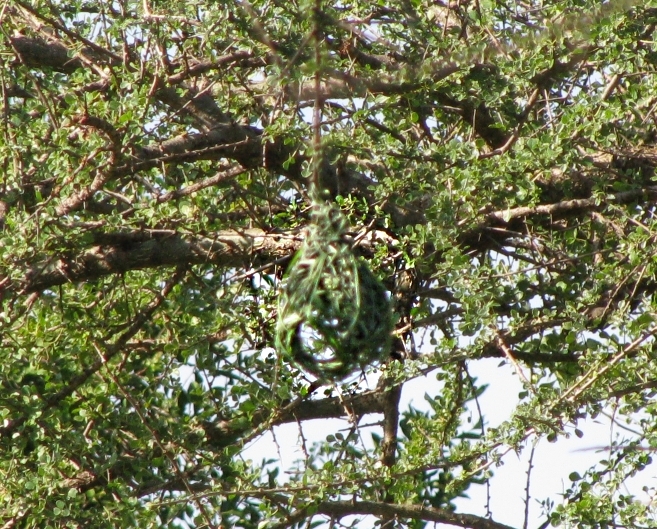 There it was, a hefty wreath of grass hanging from the end of a tree branch. I checked again a couple days later. 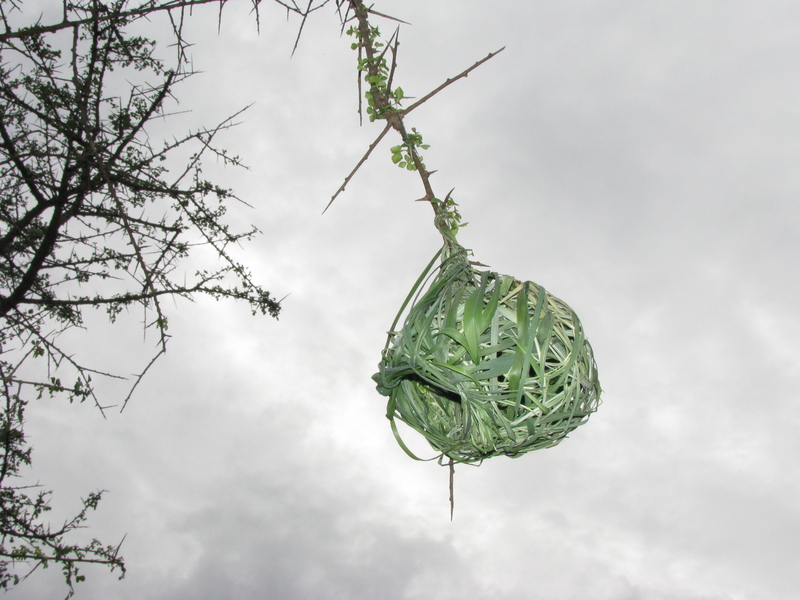 The weaver had been working on filling in grass around the sides to form the ball shape. Three days later the ball shape was becoming apparent (and I finally decided to take pictures outdoors instead of through the window, so that they’re better in focus). Five days later Mr. Vitelline’s work was looking very much like a nest. 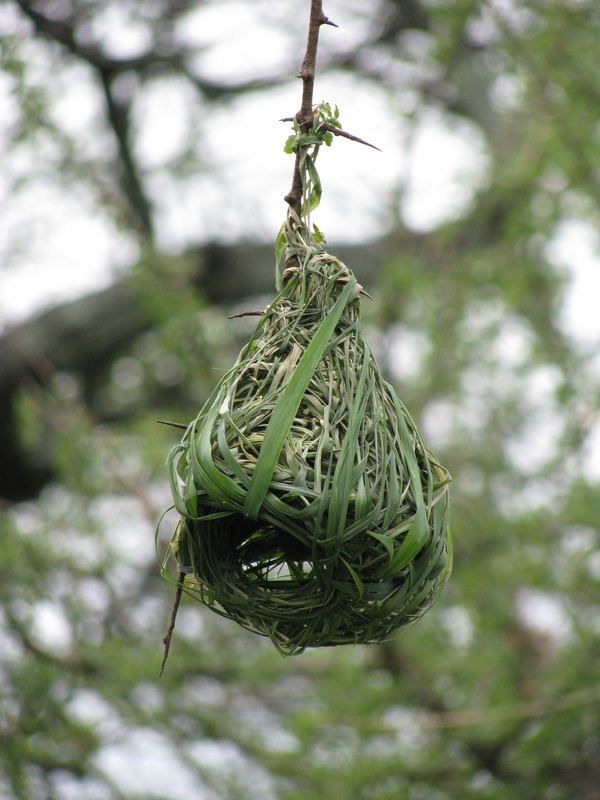 Five days later was also my last day in the Serengeti, so I didn’t see further developments of this nest. But I suspect it was completed and became a comfortable abode for its industrious builder.